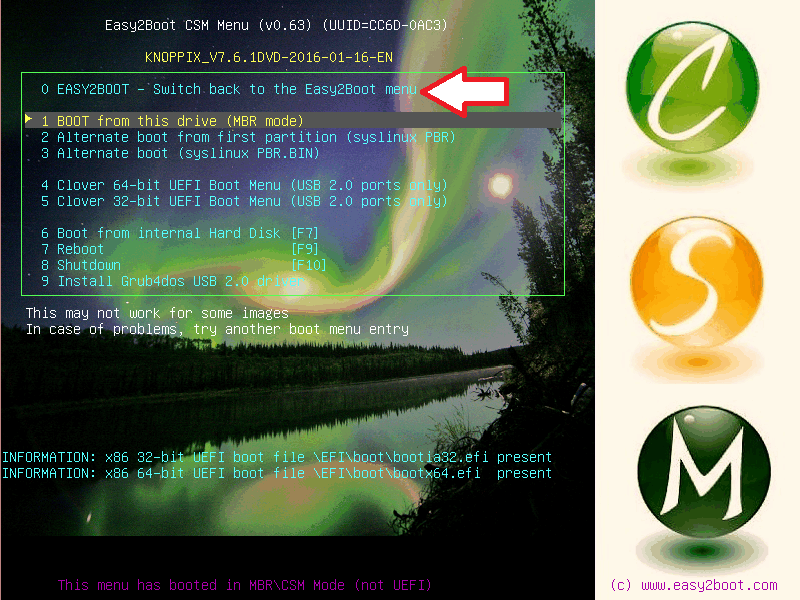 Therefore, if you boot to Plop and then try to run an E2B menu entry, you will probably see a 'write error' message. 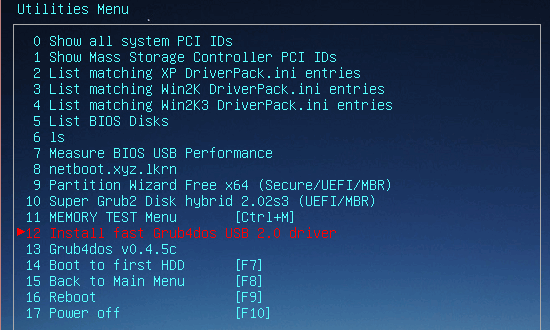 However, if you use grub4dos 0.4.6a (standard in v1.62+ or a menu entry older versions), you can boot to E2B from Plop and then use the - Utilities - Install fast grub4dos usb 2.0 driver menu entry (use E2B v1.30 or later). The grub4dos USB 2.0 driver has full rd/wr support and after the USB driver is loaded, E2B should work as normal (until you reboot).